WELLESLEY – Wellesley College named its first black leader Thursday, announcing Harvard Medical School professor Dr. Paula Johnson as the elite institution’s 14th president. 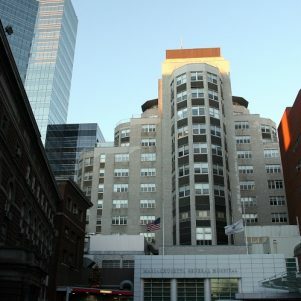 Johnson currently leads the women’s health division at the medical school in Boston as well as the Connors Center for Women’s Health and Gender Biology, which she founded at Brigham and Women’s Hospital. She also teaches Harvard University’s T.H. Chan School of Public Health. She has also served as the head of Boston’s Public Health Commission. Current President H. Kim Bottomly last summer announced plans to step down after a nine-year term in July 2016. The all-women school’s board of trustees, advised by a search committee made up of alumnae, students, faculty and staff, unanimously approved Johnson’s appointment, ending an eight-month search. Johnson attended Harvard, where she received her doctor of medicine and master of public health degrees, Wellesley said. The Brooklyn, New York, native lives in Brookline with her husband and their two children. Wellesley, one of the Ivy League’s traditional Seven Sisters, was founded in 1870, and has about 2,400 undergraduates.